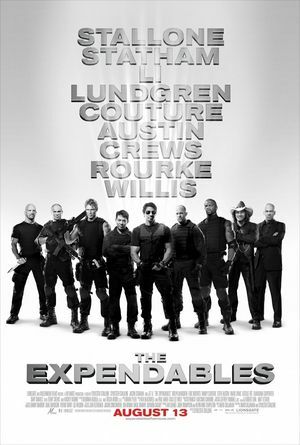 Theatrical poster for The Expendables. A team of mercenaries are offered a job to carry out an assassination on a remote dictator-ruled island, but instead of accepting the job they return on a personal mission to save the whole island. Reg. PP-ZAT Grumman HU-16 Albatross built in 1949 (c/n 38). This former FAB (Brazilian Air Force) aircraft was actually the sole airworthy Albatross in Brazil. This aircraft may be model, just for blowing up. This page was last modified on 11 September 2014, at 11:05.